The "Naughty" cards have been a big hit, and I couldn't resist a sequel when I found this pair of naughty youngsters having a tussle in the snow. 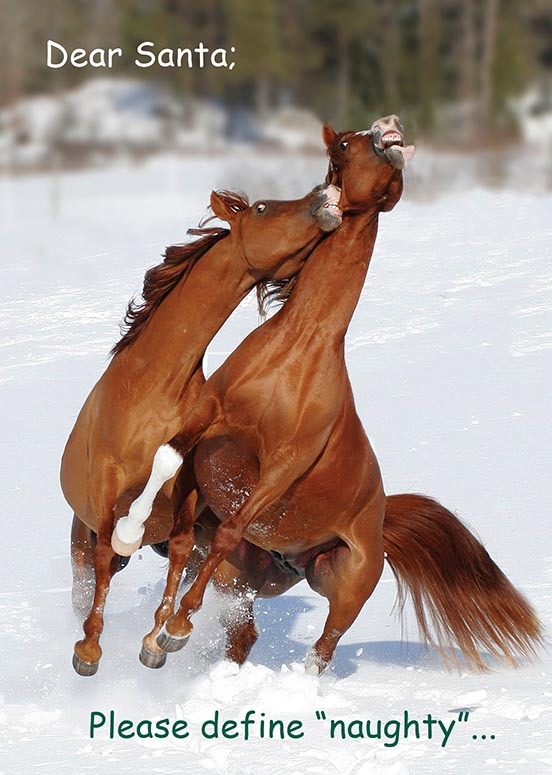 You can't see it here, but one horse has the other one by a stretched-out pinch of skin under his jaw. Just the thing you'd expect from a crowd of anxious kids around Christmas-time; running around pinching each other. That part is so funny, that I included a closeup of their faces on the back of the card, along with a bio of the very talented Swedish photographer Jörgen Larsson.